The idea of meeting you has scared me slightly. Are you going to be as great as 2015? Or are you going to e a repeat of 2012? I really hope it's not the latter. A levels are coming soon- sooner than I realised- and it's back to college I go to get my head down for the net six months. Focusing on my exams is something I have to do so I can go to where I so wish afterwards. Another year, another change as I hopefully head off to university and, this time, I'm ready for the change and am even excited. Change of scenery, location. Change of people. While I'm scared, I'm also eager to get there to be entering into something unfamiliar. 2015 lacked certain aspects that I hope you, 2016, will give me. I want to read more. I love nothing more than a good book so why not find the time to do more of what I love. More concerts. The atmosphere is addicting and I need to get another dose of the live music. Blogging. My blog has changed a lot over the years but I finally feel happy and content with what I post and that's just that- what I want; writing about everything I love. So I'll be finishing my A levels and starting a new chapter but I don't want this to be missing the people I love even if they're a hundred miles away. This year I want to make enough time amongst studies to spend time with friends; to capture memories of moments that will last a lifetime. I want to spend as much time with them before we go our separate ways across the country. There's so much I want to accomplish in 2016 it's overwhelming just thinking about it. But I have hope. 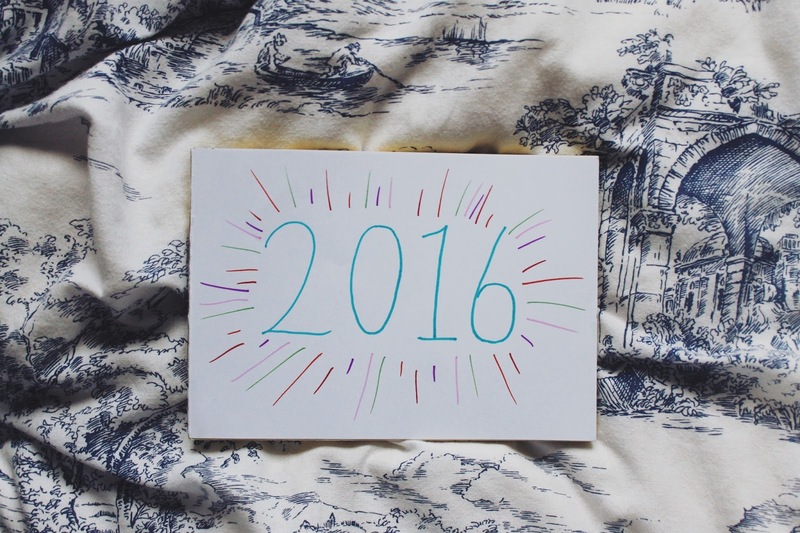 Hope that with careful planning, I can achieve what I want and get the most out of 2016.